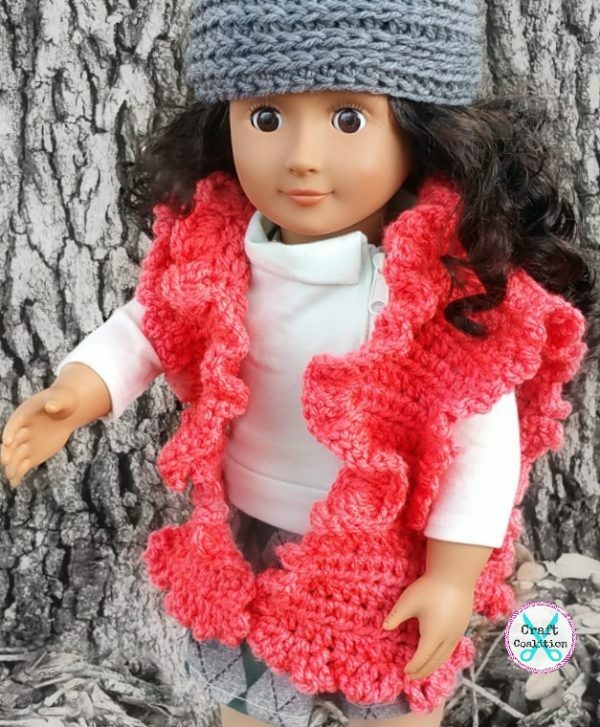 My Dolly Ruffle Ruana - 18" doll crochet pattern - Craft Coalition! 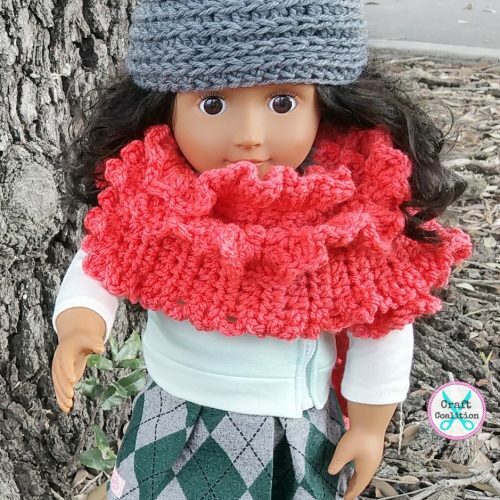 With this lovely My Dolly 18 inch doll crochet pattern collection well underway, the Ruffle Ruana is a specially designed 18″ doll, free crochet pattern. 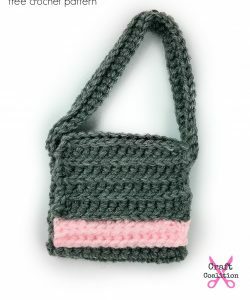 This versatile piece is a quick project which makes it perfect for a quick gift. 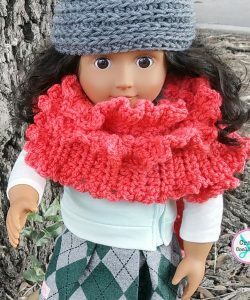 The versatility of this Ruffle Ruana crochet pattern is apparent with the images below. By changing the placement of your buttons, notions, or sewing it, you can change the style. 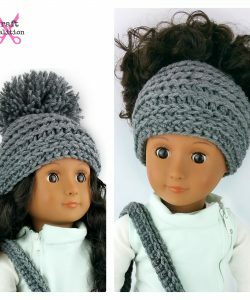 Belted or sewn into a vest, you can really extend your doll’s wardrobe. Not to mention, you can easily increase the length and finish off by choosing from two different edgings. I’ve added some images toward the end) to help you experiment with button placement. One of them shows both buttons on the outside of the collar, but to achieve the same look as the cowl style, you will need one on the inside. 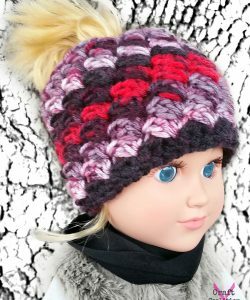 The hat featured in this image can be found here – http://www.craftcoalition.com/my-dolly-edgy-messy-bun-hat-crochet-pattern/ – My Dolly Edgy Messy Bun Hat 2-in-1 crochet pattern also includes the beanie crochet pattern! 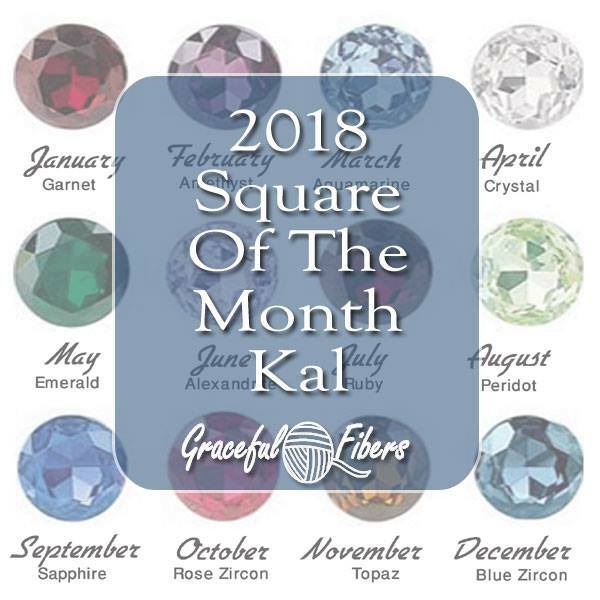 I’m making sure you can get the most out of each pattern! Keep scrolling for tons more info including the pattern. Chain 2 counts as hdc. This piece is reversible and does not have a right or wrong side. Front panels will be denoted as side A and side B instead of left side and right side. Two pieces worked seamlessly from the back/bottom up to the shoulders and down the front. Row 1: Starting in the 2nd chain from the hook, hdc in each chain across – total 25 hdc. 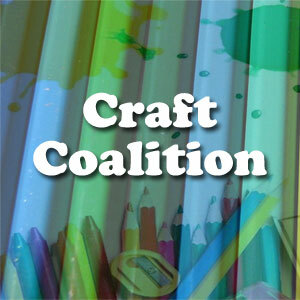 Row 2-17: Chain 2, turn, hdc in each stitch across – 25 hdc. 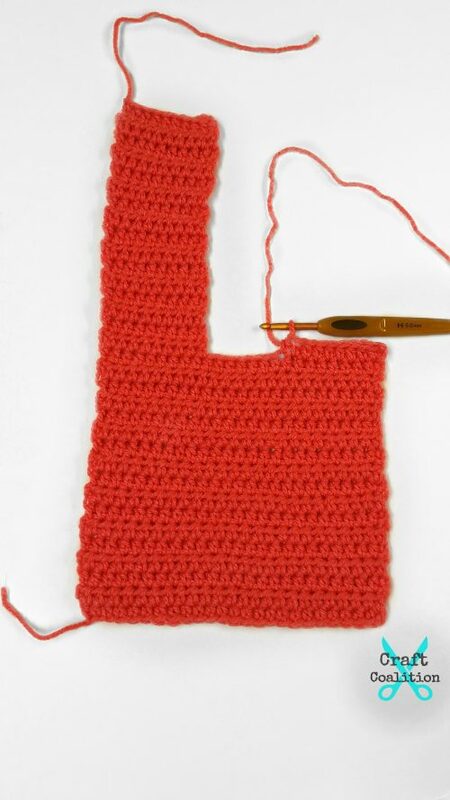 Row 18: Chain 2, turn, hdc in the next 9 stitches, do not fasten off – 10 hdc. Row 19-34 (working A panel): Repeat Row 18 – 10 hdc. 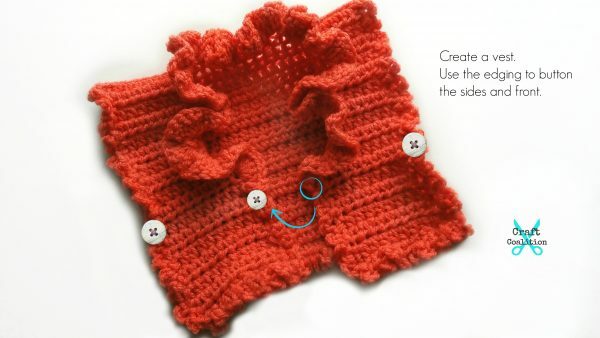 Join yarn with a slip stitch into first stitch of Row 18 to start Row 19 of the second panel. Row 19-34 (working B panel): Repeat Row 18 – 10 hdc. Chain 4, working around the outer edge of the entire piece, slip stitch into the edge of row 34, * chain 4, slip stitch into the edge of the next row, work from * 35 times, working into each row edge (34 rows total), continue along the bottom (25 stitches), up the edge of rows 1 through 34 (34 rows total), across the front 10 stitches, up the edge of rows 34-28 only. Working from Row 29, 6 dc in each of the next 10 rows to Row 19, 6 dc in each of the next 5 stitches across Row 18, working back down the opposite side, 6 dc in each of the next 10 rows including Row 29 of the opposite side, work [chain-4, slip stitch] in each of the last 24 rows – total 127 [chain-4, slip stitch]combos, 150 dc. Finishing: Slip stitch to the first slip stitch of the edging. Fasten off. 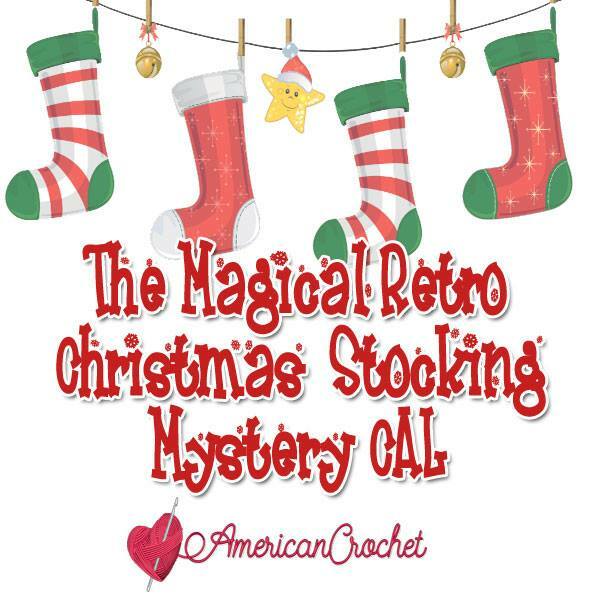 Chain 4, working around the outer edge of the entire piece, slip stitch into the edge of row 34, * chain 4, slip stitch into the edge of the next row, work from * 35 times, working into each row edge (34 rows total). Continue along the bottom (25 stitches), up the edge of rows 1 through 34 (34 rows total) , across the front 10 stitches, up the edge of rows 34 -19 (16 rows total), across neck edge (5 stitches), down the row edges of rows 19-34 (16 rows total), across front edge (10 stitches). Slip stitch to 1st chain of beginning chain-4 – 114 [chain-4, slip stitch] combos. Chain 70, sc into each chain across, fasten off, and weave in the tails. Use the following images to help you experiment with button placement. Would love to have this pattern. Can you send it to my email? 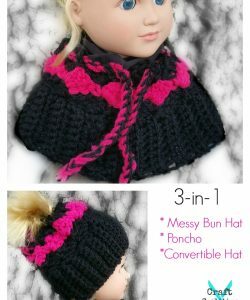 You can Print Friendly to print the pattern or purchase it via her Etsy shop. If you need more help please let me know.